NEC has launched two new all-in-one PC’s, the NEC Powermate P4000 and P6000. The NEC P4000 features a 16 inch LCD display, a 1.9GHz AMD Athalon 64 X2 processor, graphics comes in the form of an NVIDIA GeForce 9100M G intergrated chip, 250GB of storage and 1GB of RAM. 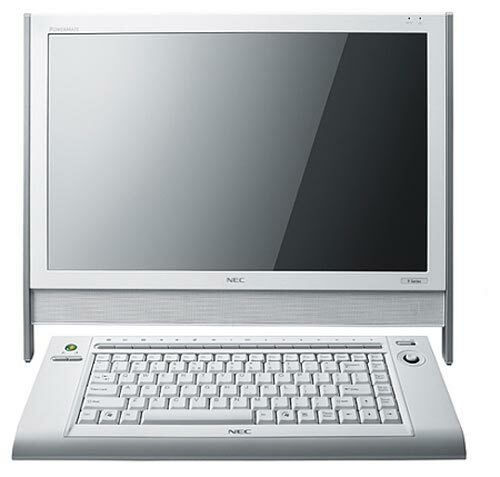 The NEC P6000 features a 19 inch LCD display, processing comes from a 2.53GHz Intel Core 2 Duo Processor, and a NVIDIA GeForce 9300 graphics card. There is a 500GB hard drive and 2GB of RAM. The NEC P4000 will retail for $1,270 and the NEC P600 will retail for $1,675, they will go on sale in Asia in about a weeks time, there is no word as yet when we are likely to see them in the US and Europe.